A few years back, there was only one entry-level luxury car that offered rear-wheel drive dynamics in both sedan and coupe form – the BMW 3-Series. 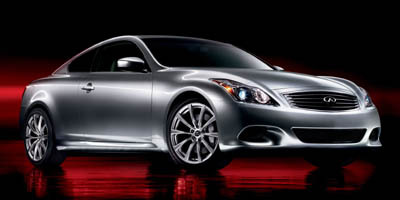 That all changed in 2003 when Infiniti took a seriously aggressive move into the segment by introducing the newly designed, V-6 powered G35 Sedan and coupe. Most importantly, the G35 Coupe shared its underpinnings and powertrain with its two-seat cousin, the Nissan 350Z, giving it inspiring dynamics to match its refreshingly good looks. Five years on, Infiniti is upping the ante with the 2008 G37 Coupe, fitting the car with a more powerful engine and an impressive array of standard equipment. With a considerably lower base price than its competitors, similar, if not superior power and intriguing options such as Four-Wheel Active Steering, the G37 represents not only one of the segment’s best bargains, but perhaps one of its most entertaining cars as well. A powerful engine and a solid chassis make the G37 Coupe an engaging drive. A good selection of standard equipment should help keep prices near the base MSRP, as very few high-priced options are available. The Infiniti Controller interactive media system doesn’t come across as intuitive and can be rather cumbersome. Navigation does not come standard, though the 7-inch color display does. The more you drive the G37 Coupe, the more its big V-6 power constantly teases you to mash the throttle. Acceleration is available in any gear thanks to the 3.7-liter, 330 horsepower slug wedged underneath the hood, which delivers constant power as the revs climb. 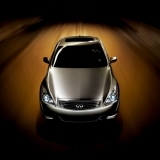 Mated to a six-speed manual, the G37 is able to manage the sprint from 0-60 in just 5.4 seconds. Infiniti Vehicle Dynamic Control (VDC) is on hand to correct any overcommitted mistakes, but disengaging the system allows you to perform true rear-wheel drive, full opposite lock power slides if that what your heart desires. The hike in power has been paired with a similar boost to the brakes, which measure 14-inches up front, and 13.8-inches in the rear, easily bringing the coupe down from high speeds in no time flat. The suspension is stiffly sprung but well damped, resulting in direct steering that never feels jerky over rough surfaces. The G37 gets a ten percent bump in power over the old 3.5-liter model thanks to a modest increase in displacement. The 3.7-liter V-6 puts down 330 hp and 270 lb-ft of torque via a 5-speed automatic with manual shift mode in the standard G37 Coupe and G37 Coupe Journey, or through a slick-shifting six-speed manual gearbox in the G37 Sport, with power being driven to the rear wheels. The most interesting option offered on the G37 is a $1,300 Four-Wheel Active Steering Package, which fits the vehicle with an adaptive steering rack that does exactly as its name implies – uses all four wheels to steer the car. The system works above 35 mph through use of sensors to determine the car’s yaw and, if needed, dials in up to one degree of steering to the rear wheels to correct any lateral movements. Another tempting add-on is the $3,200 premium package that adds comforts like a moonroof, Bose audio system, iPod interface, power driver’s lumbar support, a power tilt and telescoping steering wheel, HomeLink, Bluetooth and heated seats. The Infiniti Controller system, which comes standard on the G37, uses a dash-mounted scroll and directional button interface to control the car’s stereo and navigation systems via a 7-inch color display mounted above the instrument panel. The radio is controlled via both the standard controls on the dash and multi-function display scroll knob, while the display shows stereo tuning and disc/aux information and climate control settings. Navigation comes as a $2,200 option, but is highly recommended as it includes real-time traffic updates and a 9.3GB hard drive for music storage. The G37 might put out V-8 rivaling power, but gas mileage remains within the six-cylinder realm, especially at cruising speeds. The 3.7-liter engine returns 17 mpg in the city and an impressive 26 mpg on the highway, and achieves a ULEV-II emissions rating. The large 20-gallon gas tank makes fuel stops few and far between, even around town. The G37’s cockpit feels more comfortable and accommodating than it does opulent and is framed around a simple, brushed aluminum center console topped by the display screen. The bright, multi-colored gauge cluster is a pleasure to look at and pairs well with the blue hues surrounding other interior controls. The seats are comfortable, yet properly bolstered for performance driving. An overall theme of restrained aggression graces the exterior of the G37, from the two large, squinty air intakes and slightly louvered hood, to the small spoiler topping the clean-cut rear end. Side-on the car’s performance inclinations are hinted at with Sport Package 19-inch rims, which wrap themselves around massive brake discs. Pricing for the base G37 begins at an MSRP of $34,900, with the G37 Sport coming in at $36,200, making its most direct competitors BMW’s 135i and 328i coupes, as well as Audi's TT 2.0T, all of which are less powerful. A well-equipped G37 Sport tips the scales in the $43,000 range, pushing it into the territory of the more capable Audi TT 3.2 Quattro, Audi A5 and BMW 335i coupe. The Infiniti G37 offers an affordable blend of luxury and performance that its competitors simply can’t match given its base price. While it might not drive as fluidly as the 350Z it is derived from, the differences in the G37’s dynamics are only clear at the absolute limit, a place few Infiniti owners will dare venture, and certainly a worthwhile tradeoff for the added luxury.